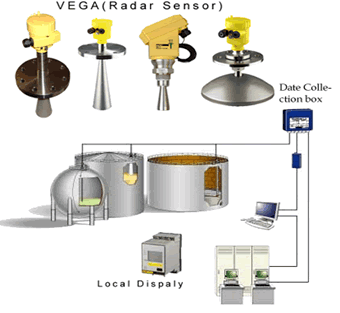 Be used to monitor liquid level for oilcan, pagoda, slot or. production platform. Also, be used in various oil tankers and chemical ships. radar transmotter adopt C- band or K -band technology for continuos level measurement. The process as follow: first, the antenna of the radar sensor emits a shot radar pulses a duration of approx. 1ns. these pulses are reflected by the object and received by he antenna as echoes. the running time of the radar pulses from emission to reception is proportional to the distance and hence to the level. the determined level is converted into an appropriate output signal and outputted as measured value. Looking for ideal Radar Level Gauge Manufacturer & supplier ? We have a wide selection at great prices to help you get creative. All the Tank Level Gauge are quality guaranteed. We are China Origin Factory of Radar Level Gauge. If you have any question, please feel free to contact us.